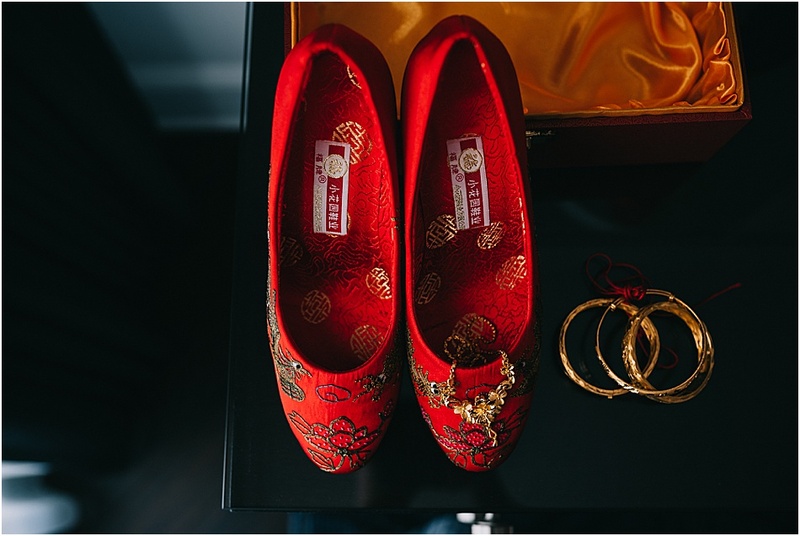 ﻿Christine and Mark’s Washington, D.C. wedding was a beautiful intertwining of traditional Catholic nuptials and Chinese customs. Their relationship began when Christine stumbled upon Mark’s profile on CatholicMatch. It had been months since Christine began praying to Blessed Karl of Austria for her future husband. Even though she had seen many interesting profiles on CatholicMatch, she felt there was something special about Mark’s. Christine didn’t start a conversation, but instead waited to see what Mark would do, since the site allowed a him to see who had visited his profile. 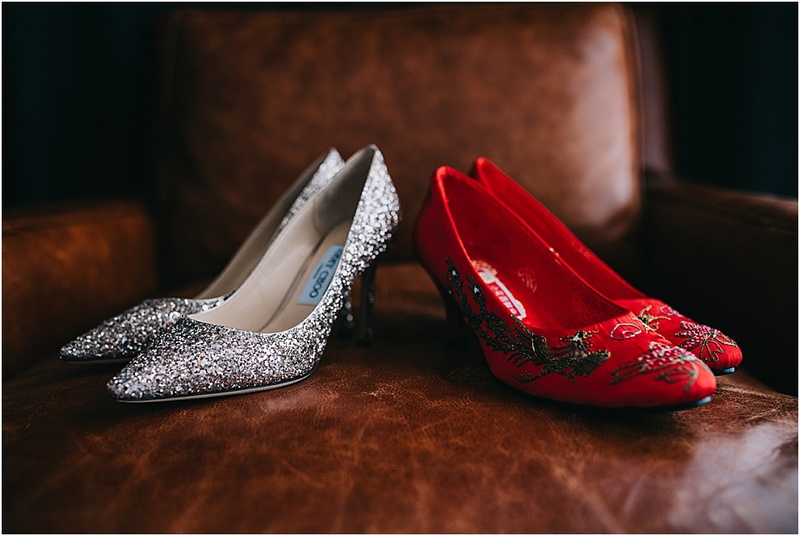 From the Groom: From the first moment I saw Christine’s profile picture, I couldn’t believe my eyes. And after reading Christine’s profile, I was even more certain she was too good to be true. This was the internet version of love at first sight, and I sent a message right away. From the Bride: Every time Mark talks about this, I can’t help but laugh. He is always so sweet. When I first saw Mark’s profile on CatholicMatch, I felt there was something special about him. And ever since then, I kept him in my daily prayers and waited for God to do the rest. Mark: After exchanging a few messages on CatholicMatch, I invited Christine to pray together over the phone. She only had thirty minutes for our first call, but we spent most of that time praying the rosary together. After that we started a tradition which we have continued even when in very different time zones: praying daily Compline (Night Prayer) together, usually over the phone. Christine: Praying together always reminds me God is at the center of our relationship. I’m always excited to pray with Mark because it is such a powerful experience for us. A few short weeks after we began speaking, May—the month of Our Lady—arrived, and it was time for me to graduate from my master’s program. My parents and sister came to D.C. to attend my graduation ceremony. I had been telling my parents a lot about Mark, and they really liked him, or at least my descriptions of him. On May 11, a couple days before my family would return home to China, my mom suggested we set up a meeting with Mark. Although I felt a little uncertain, knowing Mark’s busy work schedule, and, more importantly, that Mark and I had never met in person, I reached out to him to see whether he would be able to meet the next day. Mark: That was a very busy time for me at work, but I pulled a very late night and managed to meet Christine and her family for coffee the next day. Luckily, I was too tired to be nervous! I was overjoyed to meet Christine’s family and moved by how genuinely kind and joyful they were. Christine: My family and I really enjoyed meeting Mark, too. In fact, Mark and I soon began going on dates: attending Sunday Mass together at St. Mary’s in Washington D.C., followed by lunch and activities like visiting museums and going to concerts. After Mass, we would usually pray together before the image of Blessed Karl. As we got to know each other better, we hung out more often. We watched the Fourth of July fireworks on the National Mall, went hiking in Shenandoah National Park, and visited the elderly at a nursing home. Through it all, we enjoyed every moment together. Fast forward to October 2017. We had been discerning engagement and working through a book titled 101 Questions To Ask Before You Get Engaged. This went on until one Saturday when we visited St. Mary’s. Just as we were finishing our prayer before the image of Blessed Karl, Mark proposed. What a joy that we were engaged in the Real Presence of Our Lord! A mutual friend played my favorite Chinese hymn on the organ (Mark had remembered I had sung the hymn while we were praying together one evening), and the proposal was filmed by Mark’s best friend and soon-to-be best man. We learned that our archdiocese required six months of marriage preparation. During this time we would continue to grow in our relationship and discern our vocation. We also found, to our surprise and delight, that May 12, 2018—the one-year anniversary of the first time we met in person—was a Saturday, and we decided to set that as our wedding date. The wonderful Fr. Martin Yip agreed to meet with us for monthly marriage preparation sessions focusing on the sacramental meaning of marriage. We also attended an Engaged Encounter retreat. This provided a precious opportunity for us to spend focused time getting to know each other and diving deeply into various practical topics, all under the guidance of experienced married couples and a priest. One month before the wedding, we visited a couple from our parish who have been married more than thirty years. They warned us of potential challenges in married life and provided advice and insights from the unique perspective of Chinese culture. We were overjoyed when Bishop Mario Dorsonville agreed to celebrate our nuptial Mass. Another joyful surprise was that Fr. Conrad Murphy was willing to be the Master of Ceremonies when we couldn’t find another deacon available for our wedding day. 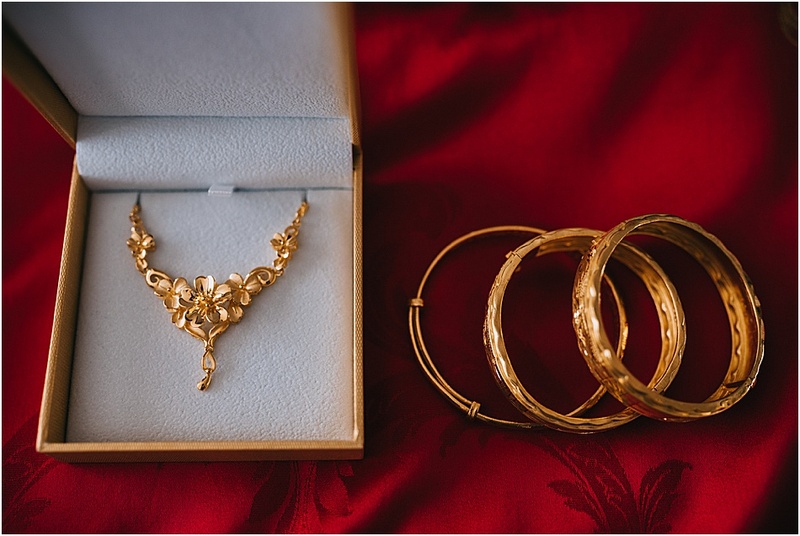 From the very beginning, we knew the nuptial Mass would be the most important part of our wedding day. So we spent a lot of time preparing the Mass program in both Chinese and English. It turned out to be very beneficial in helping us and our guests get better acquainted with the various parts of the nuptial Mass. Our liturgy was celebrated at St. Mary’s in D.C.. 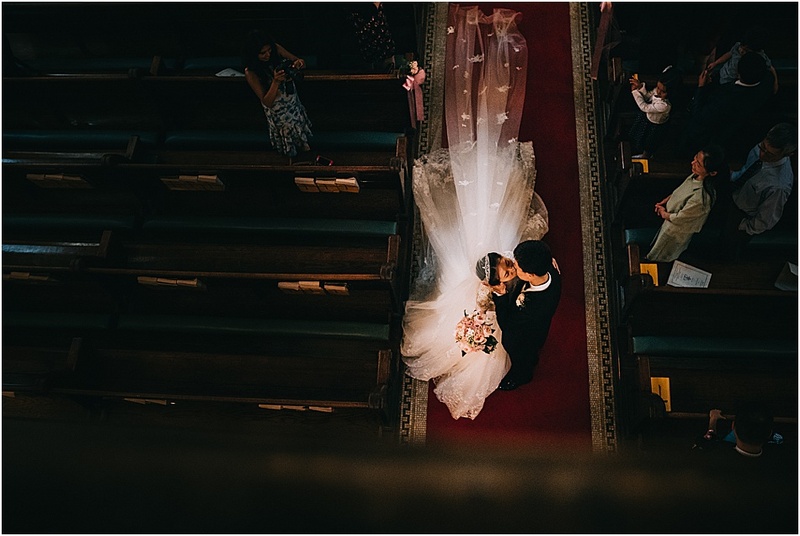 Although we belong to the Our Lady of China Pastoral Mission, ours was the first nuptial Mass in ten years to be celebrated at St. Mary’s for a couple in our community. Our parish family was excited for us and showered us with so much love and joy. They celebrated our engagement in the parish hall and supported us through the wedding preparation and our wedding day. 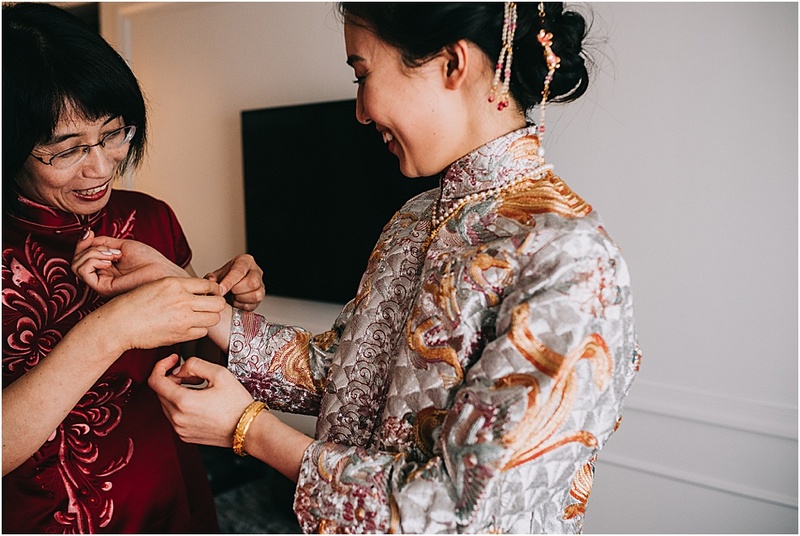 One week before the wedding, my family travelled from Shanghai to Washington. It was so exciting because I hadn’t seen my family for a year. They helped with the wedding favors and decorating the reception venue. Meanwhile, Mark’s parents prepared heart-shaped chocolates for our guests and set up the rehearsal dinner. 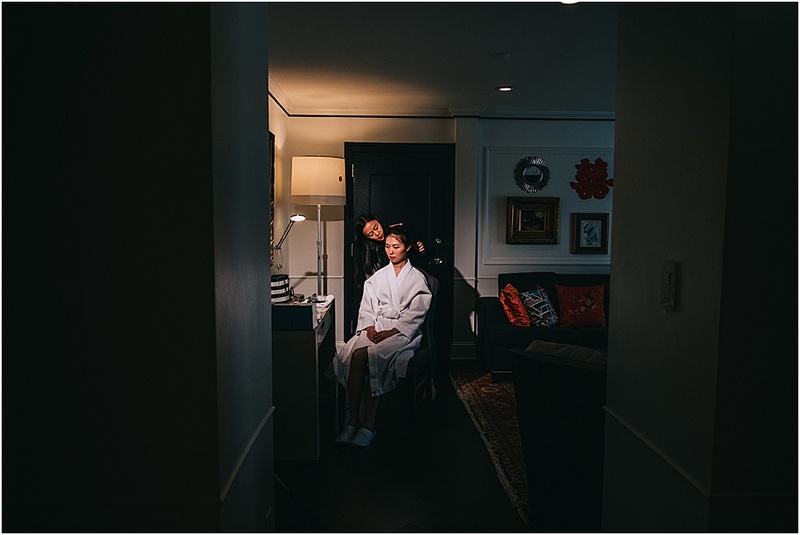 In the early afternoon of our wedding day, we had a traditional Chinese tea ceremony, customary for weddings in China. 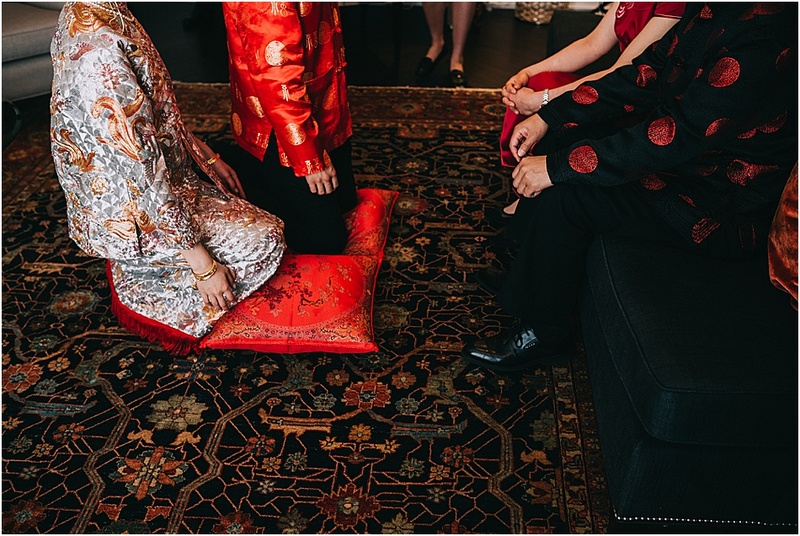 We knelt before our parents and offered tea to them, showing our respect and gratitude to them for all the years of love and care. In return, we received gifts in red envelopes from them. Our nuptial Mass was very beautiful and went quickly, but we enjoyed every moment. My brother and sister did the readings, and our parents offered the gifts. When Bishop Dorsonville introduced us as “Mr. and Mrs. Ma,” we had our first-ever kiss on the lips at the altar. With the violin and organ playing Ave Maria, we prayed before a statue of Mary, offering our marriage to Our Lady. Our reception was held at Phoenix Park Hotel, a historic hotel in Capitol Hill. The hotel ballroom and our honeymoon suite were lovely. They had been decorated with love and care by our families and friends. My brother made a video using a collection of our photos from childhood to the time we met, which was played at the beginning of the reception. It was received by the audience with lots of laughter and awws. Right after we entered the ballroom, we played a violin-piano duet of Canon in D. Mark was on violin, and I played piano. My dad presented raffle prizes of his own excellent calligraphy and Chinese traditional painting. Finding each other and taking our first steps in marriage has been so amazing, and we are excited to continue our journey together! 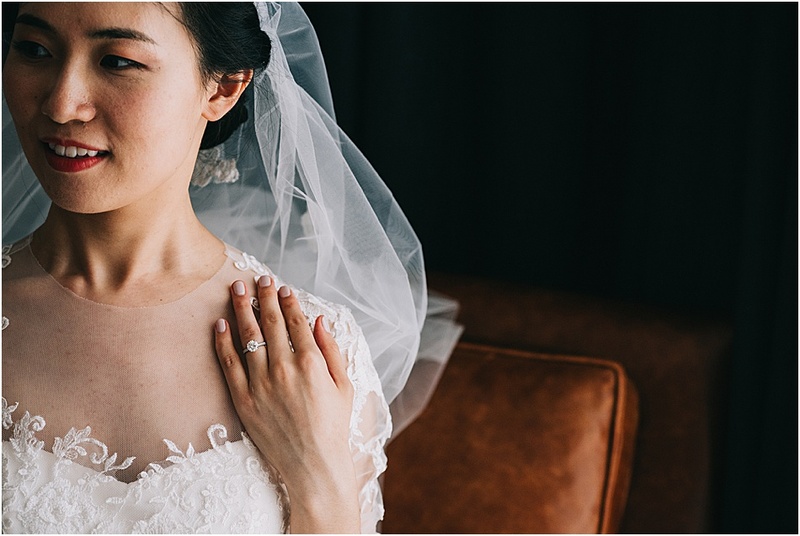 From the Photographers: Christine and Mark's wedding was such a joy-filled event that uniquely combined beautiful cultural and liturgical traditions. 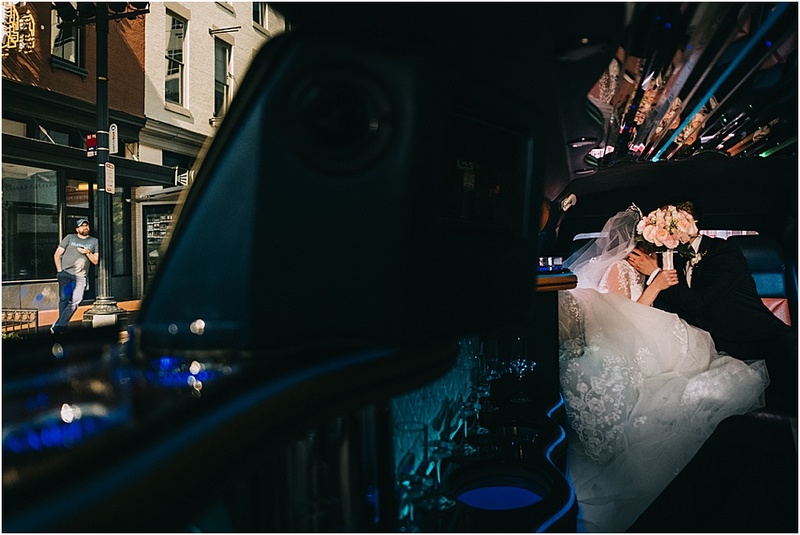 We loved witnessing and documenting their day, and especially loved how they planned a wedding that really fit their personalities. For example, during their reception they replaced the usual dance party with a talent show and games, which was so fun. More than anything, we loved seeing how tangible their love was and how joyful they were to be husband and wife. It felt so real during their portrait session at the Jefferson Memorial. We wish them all the best for their marriage!